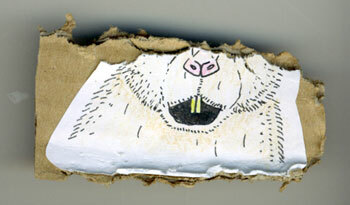 Description: Half a chewed pic of a hamster. Has spent some time with a real hamster. Comments/Origin: I drew this after getting Wilfred (the real hamster) and thought he would like it on the wall of his cage. But sadly he wanted it for bedding.